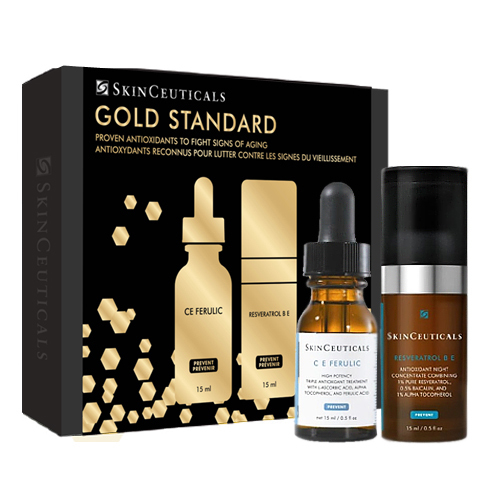 A kit that fights the signs of aging. This essential antioxidant power couple provides 24-hour comprehensive daytime protection and enhances skin’s natural nightly repair. • CE Ferulic - In the morning after cleansing and toning, apply 4-5 drops to a dry face, neck, and chest before other anti-aging skincare products. 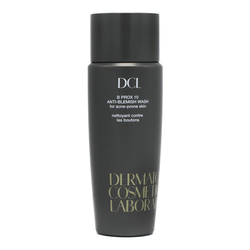 • Resveratrol B E - In the evening after cleansing, apply one to two pumps to a dry face. Follow with a SkinCeuticals corrective product.